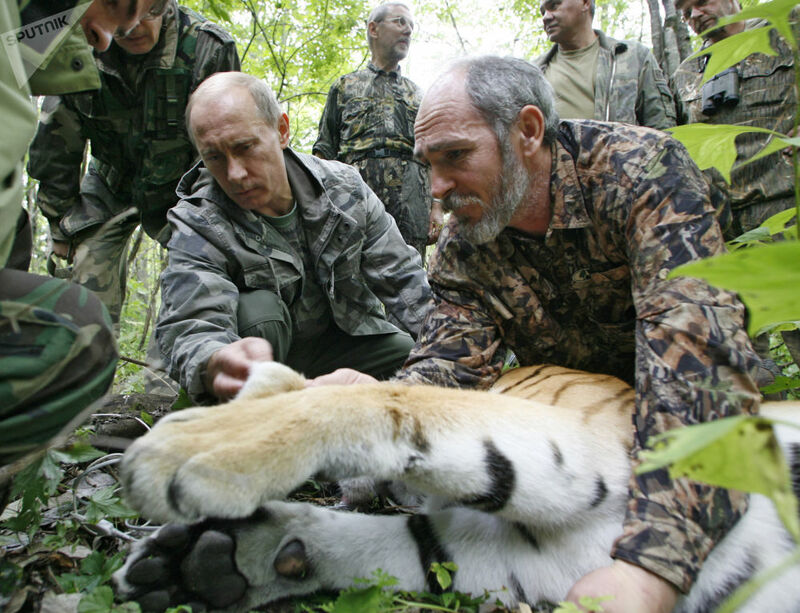 Russian President Vladimir Putin attends a meeting with Turkmen President Gurbanguly Berdimuhamedow (L). 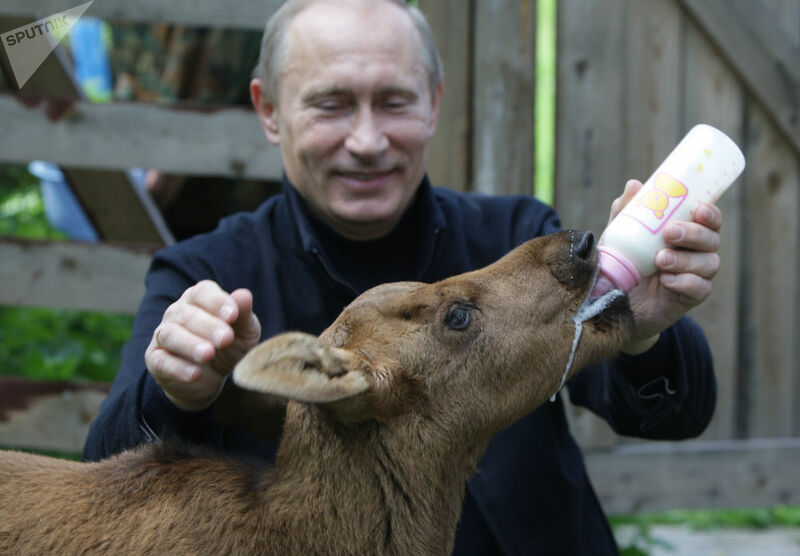 Apparently aware that Russian President Vladimir Putin has a soft spot for animals, Turkmenistan President Gurbanguly Berdimuhamedow presented him with an extravagant birthday gift - a Central Asian Shepherd puppy named Verny (Loyal). 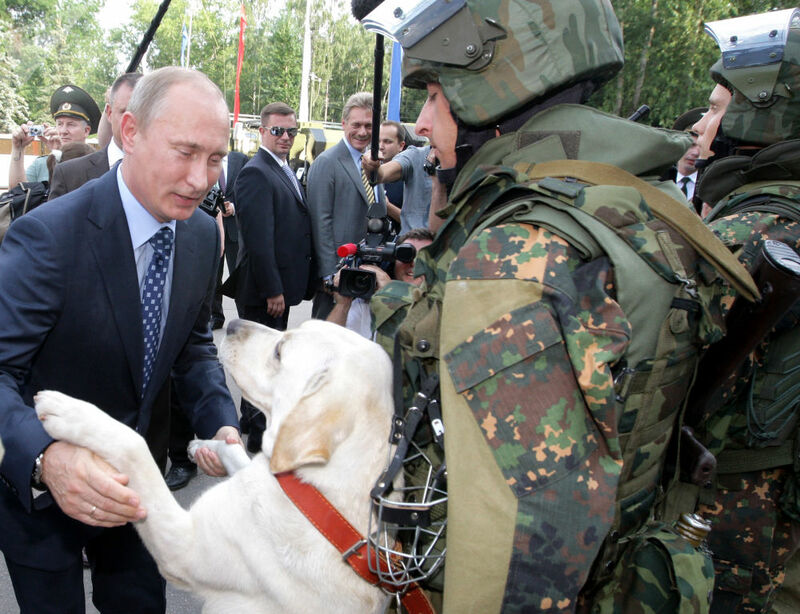 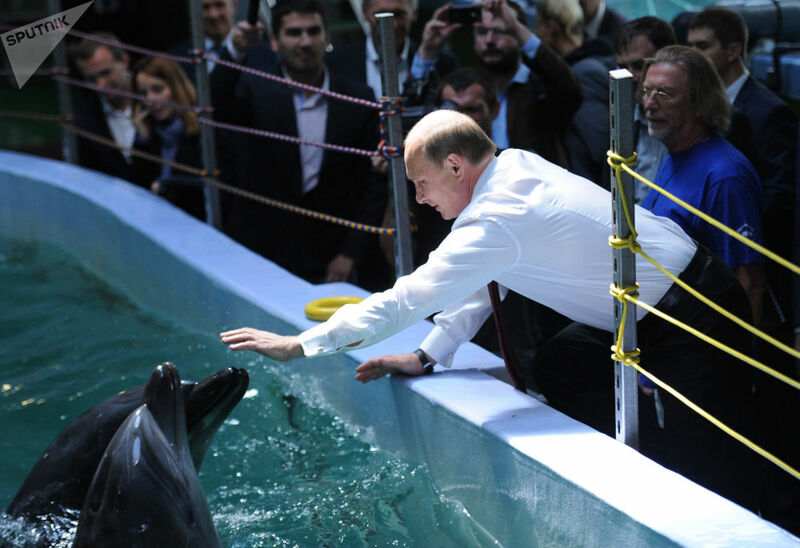 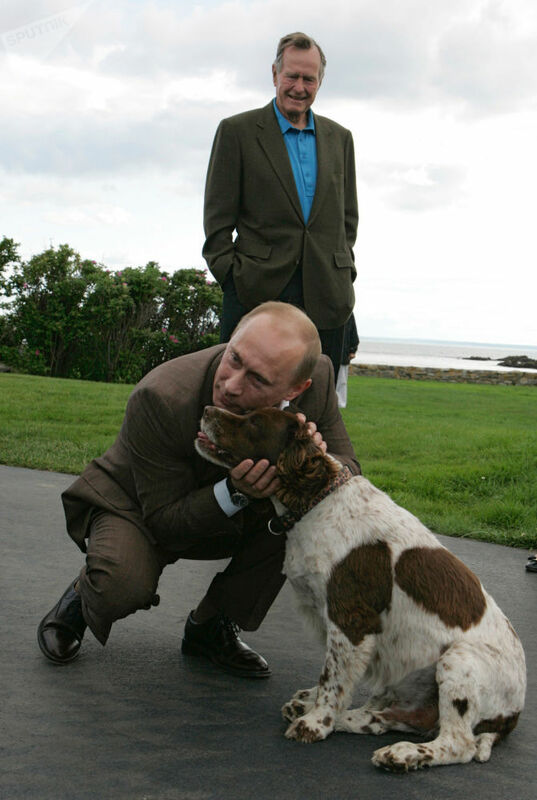 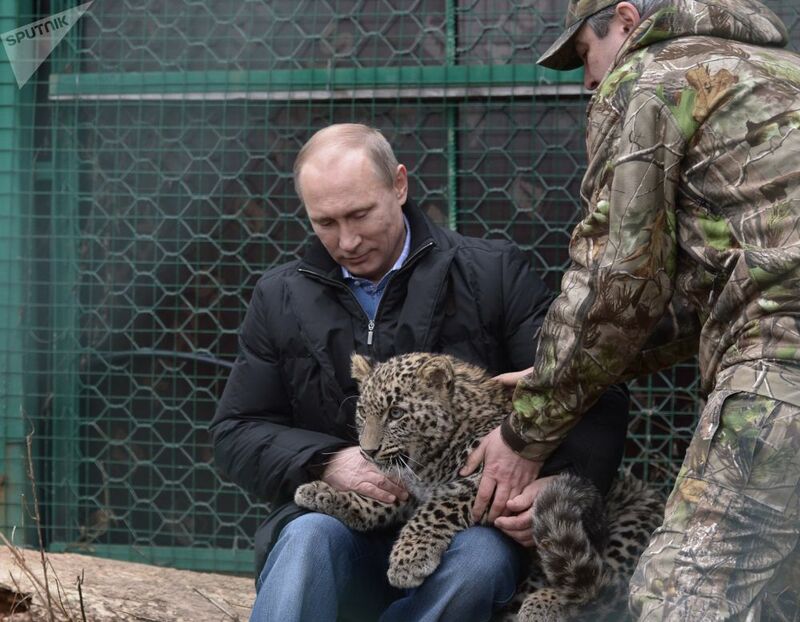 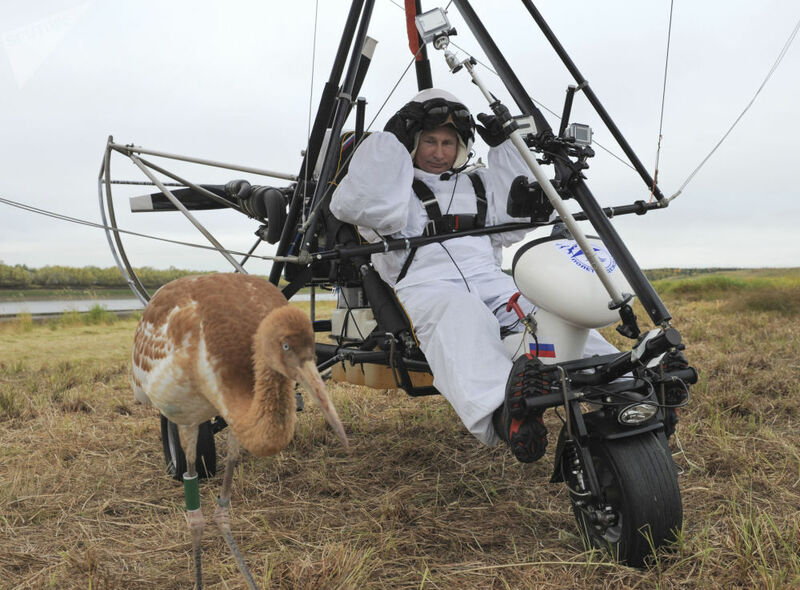 It appears that Vladimir Putin does have a fondness for animals as the Russian leader was seen on numerous occasions playing with his pet dogs, visiting nature reserves and aquariums or even participating in projects aimed at protecting endangered species.The following gallery contains images depicting some of Putin's interactions with animals ranging from pets to vicious predators.